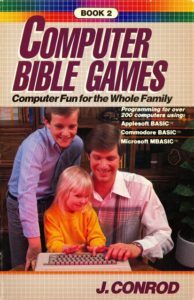 John, Joyce and Philip Conrod of Denver, Colorado co-founded BIBLEBYTES in 1982 to publish a series of Bible-based Computer Games for the Radio Shack TRS-80 Color Computer. The Conrod family released the following titles; Bible Scramble Games,The Memory Verse Games, The Quail Game, Moses’ Rod, Noah’s Ark, The Church Growth Game, Heavenly Mansions, The Exodus Game, Manna from Heaven, The Rapture Game, and Daniel & the Lion’s Den. They also developed a checkbook management and auditing system under the company name of Command Plus. 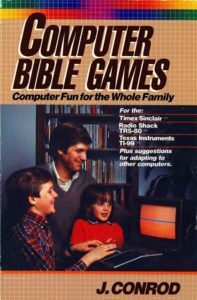 In 1983, the Bible Computer Games were ported to the Texas Instruments TI-99 and the Timex Sinclair computer systems. Click here to view some of the original computer systems we developed our games on back in those early days of micro-computers. BIBLEBYTES distributed their Bible-based learning games at Christian bookstores and church conferences. In 1985, our publisher Accent Books decided not to publish our 3rd Computer Bible Games manuscript for MS-DOS. Philip Conrod founded PC ENTERPRISES in Lakewood Colorado 1986 to publish and distribute a new series of Bible Computer Games for the new IBM PC/MS-DOS platform. The third COMPUTER BIBLE GAMES programming tutorial was a digital eBook which we distributed on various Christian Bulletin Board Systems (BBS) and on Geocities. COMPUTER BIBLE GAMES – BOOK 3 included the Microsoft GW-BASIC source code for all the original Bible Computer Games plus the following new COMPUTER BIBLE GAMES that were written exclusively for the IBM PC & MS-DOS Compatible platforms. They included: The Lost Coin Game, Elijah and The Ravens, David and the Giants, Journey of the Wise Men, The Sermon on the Mount, The Sheep and the Goats, The Good Shepherd, Paul & the Jailor, The Prodical Son Game, Old Testament Books I & II, New Testament Books I & II, Bible Books I & II, Bible Who is it, Where is it, and What is it, The Bible BAGELS Series and The Bible TOE-TAC-TIC Series. After the Microsoft Windows Graphical User Interface became more popular than MS-DOS in 1998 we started porting our best Computer Bible Games to Microsoft Windows using Visual Basic 1.0. 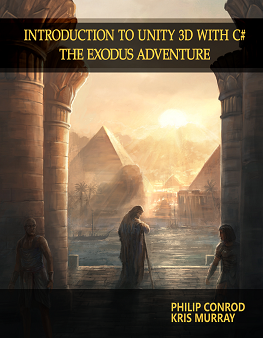 Today, BIBLEBYTE BOOKS, the Christian textbook publishing division of Kidware Software LLC, continues to publish our COMPUTER BIBLE GAMES programming tutorials for Christian middle-school and high-school students using Microsoft Small Basic, Visual Basic, Visual C#, Java and Unity 3D. Below are the game logos from all the different Computer Bible Games we have published over the last 30 years. Several of the best games are included in the computer programming tutorials above.